Temple Of Darkness Zine: September 18th Weekly Three! Well, I wasn't too on time with this one but it kind of keeps up with the theme of these weekly threes, getting pushed back farther and farther! Anyways, onto the music! When I first started getting into black metal, I was into all the big name bands that you originally think of when it comes to black metal; Burzum, Emperor, Mayhem etc. Immortal was always a name that was floating around but I never really took the time to listen to them. I then watched their live DVD of a performance at Wacken Open Air 2007 and was quite impressed. Their style is so old school influenced, especially their sound. Their riffs don't exactly stick to the stereotyped black metal styles of tremolo picking and fast chords. They take a simple approach and use Venom inspired riffs with first-wave black metal influences, something very unique in the black metal world, especially at their time. When I decided to pick up an album of theirs, the first one that I found was At The Heard of Winter. I instantly recognized most of the songs off of it due to them playing them on the live DVD. After delving into Immortal's discography a bit more, I realized that this is one, if not the staple album of their career, and with good reason. Every song has a solid riff that the whole song works off of, a kickass drum line that just rattles the ears of the listener and a very unique and amazing story told within the lyrics. While there are only 6 songs, they are still nonetheless all amazing! Satyricon is yet another controversial act that I thoroughly enjoy. Back at their beginning, they were a staple black metal band that really hit it home with their album The Shadowthrone. Their unique blend of medieval themes and 2nd wave black metal style influenced many bands of that time and still does today. After releasing one more album in the vein of black metal, Satyricon took a turn and went to a simpler style of music. The drums were toned down a bit and took a different approach to the patterns those familiar with Frosts work are not used to hearing. The guitars were moved away from the tremolo picked, reverb-laden riffs of the past and are now played with such clarity that you can hear every single note. Melodies, typically dark ones, are utilized to keep that element of evil within their music, but their genre is more what I like to call 'black rock.' The true 'kvlt' metal heads hated this and many have veered away from the modern Satyricon sound, but I for one love it! Like I explained with Cradle of Filth in a previous weekly three, bands need to expand and change it up once in a while and Satyricon is definitely doing so, especially in their latest, self titled album. The reason I selected this album to feature instead of Now, Diabolical is because of one reason, Phoenix. That song is such a criticized one but I, for one, think it is unbelievably beautiful. The chilling atmosphere that Sivert's voice creates while Frost and Satyr rock their classic style behind it creates a truly haunting atmosphere. It is a gloomy song that has so much emotion welled up inside of it, something that wouldn't be possible on that level if Satyr did the vocal parts. If you have not heard the song, or the album, go and listen to it with an open mind, I promise you won't be disappointed! 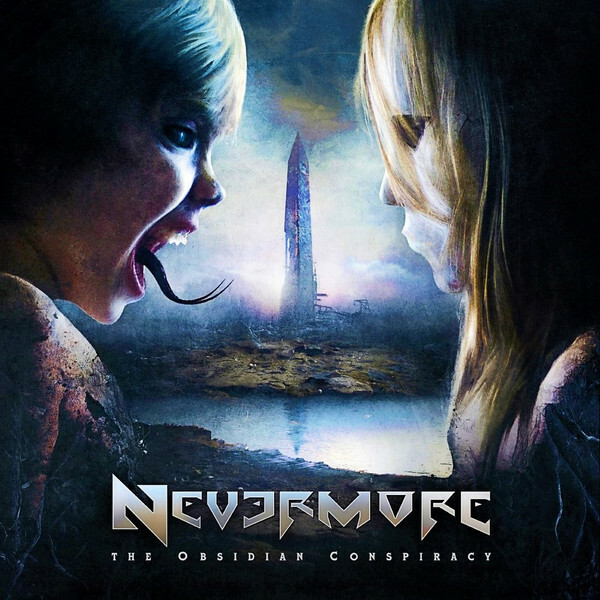 Nevermore is a band that has made a considerable impact on the world of dark, melodic metal. Their first few albums are staple hits that most every metal head has heard of at least once. When I first came across Nevermore, I was in 8th grade, I believe. I just recently bought an Ipod and had very little music for it, so my friend offered to throw some of his music on it for me! I was quite excited because I knew he had a lot of metal and I was just starting to get into heavier music. When I first got my Ipod back, I didn't even know where to start. There were hundreds of bands on there and I had no clue who any of them were. I remember just randomly scrolling and then hitting play on bands to see if their music appealed to me and that is how I discovered Nevermore's The Obsidian Conspiracy. To this day, that is one of my go to albums if I can't think of anything else I want to listen to because when I listen to it, I am never disappointed, nor bored. The darkness of Warren's voice is unlike anything I have ever heard and he can utilize clean vocals instead of screams, making the haunting aspect stick out a bit more. The instrumentation is simple in hindsight but when you really listen, you'll realize how complex the parts really are. The guitars take use of technical scales and riffs while the drums compliment those riffs nicely. Everything about this album is amazing for me and I cannot listen to any other Nevermore album without eventually coming back to The Obsidian Conspiracy.